The Arbitrators and Mediators’ Institute of New Zealand (AMINZ) has just elected two new leaders that will be the face of dispute resolution in the country. New president, Wellington barrister David Patten, and vice president, Auckland barrister John Walton, are both thrilled to be given the opportunity to lead the institute. 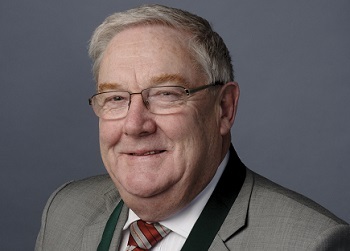 Vice president Walton agrees, and says being on the AMINZ council gives the two men the opportunity to be involved in strategic thinking about the future of the institute and have an influence on the direction it takes. Private dispute resolution is a dynamic and changing field, he says, and his role is to promote the skills that our members offer, and to ensure the professionalism that the users of private dispute resolution expect. AMINZ elects a new president and vice president every two years, and Patten and Walton will be joined by new councillors, Auckland barrister Mark Colthart and Napier-based mediator Nicola Hartfield. Looking forward, Patten says he plans to review and promote the institute’s educational programmes. Walton would like to increase public understanding of the role of dispute resolution and of what AMINZ members have to offer. He says he’ll be heavily involved in promoting regional dispute resolution by its members through AMINZ International - particularly in Auckland being selected as a seat, and its arbitrators being appointed, for international commercial arbitration. But despite New Zealand’s considerable strength in the area of dispute resolution, the pair also say there are certainly challenges that need to be addressed. Patten agrees wholeheartedly with a recent NZ Lawyer article where several lawyers spoke out about a growing problem with unethical non-solicitor and barrister advocates in the employment law space, who can represent clients without being subject to the same sanctions as their lawyer counterparts. Walton says another challenge is in continually trying to educate the public about what the institute’s members have to offer. “There is a very staid perception that mediation is all cuddly and arbitration, court proceedings in drag, conducted by grey heads. Both are far more dynamic and flexible than that,” he says. He points out that arbitration and mediation processes are not an “alternative” to the court system: they complement each other. Patten agrees, and says that people who get into disputes want to be able to choose from a range of possible resolution options. Both arbitration and mediation can be a very quick and cost effective way to resolve a problem, he says. The new president has a strong commercial background and enjoys a notable record in seeing disputes resolved without recourse to the courts. He’s also an executive educator, which was seen as a “natural fit” with AMINZ’s growth in this area. Vice president Walton is a barrister at Bankside Chambers and has a background in resolving disputes involving construction law. A trained arbitrator and mediator, he specialises in major infrastructure development, dispute avoidance and dispute management.